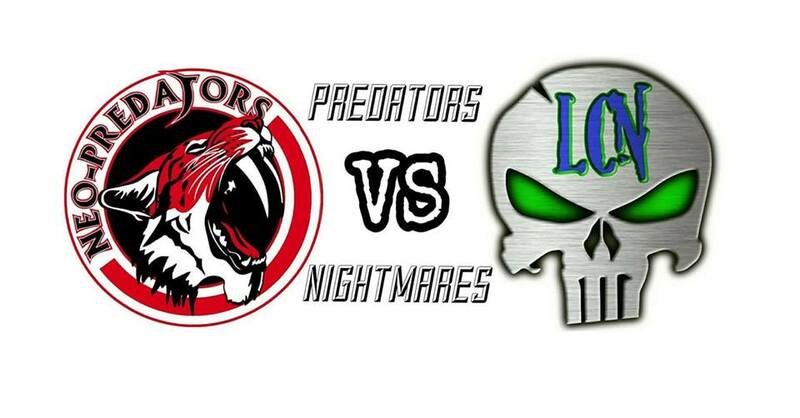 The Lorain County Nightmares return to action this weekend at Oberlin College as they host the visiting NEO Predators. This is a battle for first place and also playoff positioning down the stretch. 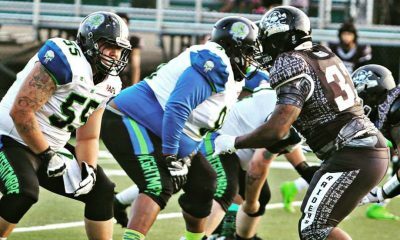 The Nightmares are in prime striking position as they currently sit at 4-3 but have won 2 straight and have 3 of their final 4 games at home. They are coming off of a 20-6 road win over the Patriots, and a 33-6 win at home over the Pittsburgh Rangers. They also have the league leader in touchdowns (Brandon DiMarco 15 passing, 1 rushing) lining up behind center. Anytime you have a specimen like DiMarco lining up behind center, and also Vaughn Sprinkle and Sonny Hazelwood on defense, you have a chance to beat anyone. I had the chance to sit down with head coach Jamie Ray Adams for our weekly coach’s chat, and we touched on a number of subjects. You have a big game coming up this weekend, how much of a motivator is it that these guys beat you once this season? How much have you improved since that game? Definitely a motivator, especially knowing how talented that our team is and what we’re capable of. We have definitely made some improvements since the last game primarily playing together as a team. Having back-to-back wins has been a definite confidence boost and given us ample time to prepare as we swing into the second half of the season hoping to go undefeated. What is our weekly walking wounded look like this week? Who is banged up and won’t be playing? Chase laudato is out until further notice with his knee. CJ Powell is still nursing an ankle and he’ll see limited repetitions on Saturday. Dontez Smith is coming along just fine but will sit out this game as a precaution. Shawn Masterson will return to his safety position on defense this week and Vaughn Sprinkle will not play with a hamstring injury. 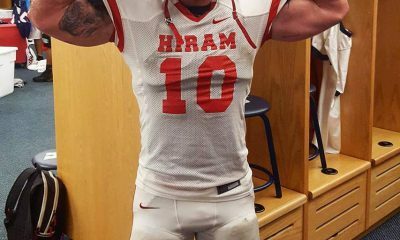 How important is diet, exercise and routine in getting ready for a game? Not only for the players, but the coaches? Diet and exercise are obviously important for the players. That’s a big part of recruiting college players, because they know the proper preparation that they need to do for a season, mentally and physically. Routine is definitely something that I am a proponent of, especially in pregame. Due to some schedule conflicts on the Patriot side, our pregame ritual was cut short and it definitely showed the first quarter of the game so it is a blessing to be back home where we can get back into our routine and play the game at our pace. You’re down by 7 points with 30 seconds remaining in a game. You score a touchdown on the final play. Do you go for the tie or the win on the extra point? How much will emotion and intensity factor into this weekends game? We had an amazing week of practice in preparation for this game. I will tell you that this game will be filled with emotional and physical intensity from start to finish. 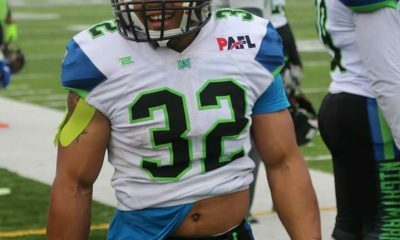 The players know what they’re capable of and plan to show The PAFL who LCN is. You recently had a youth camp, your second of the season. How important is it to you to teach young children the game properly and encourage them while doing it?